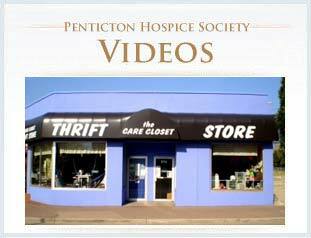 Programs & Services | Moog & Friends Hospice House – Penticton Hospice. When Should Someone Begin the Hospice Palliative Program? Because it can take some time for Hospice Palliative Care professionals to tailor palliative care and symptom management to each person, it is best to begin some level of professional care before a crisis exists. Families often feel it is “too soon” to begin palliative care and wait until death is very near. Bringing hospice professionals in at the last minute limits their effectiveness. A better approach is to arrange introductory home meetings or Hospice House visits well in advance of need and obtain counselling from a hospice professional that can provide helpful suggestions on care arrangements. Put the support network in place before you need it. The decision to begin palliative care may intensify feelings of grief and bereavement, both in the person who is terminally ill and in others. Hospice Palliative Care professionals are available to help manage these feelings and help you through this end of life process. Hospice House was developed with the sole purpose of providing palliative care to the terminally ill client who has symptoms and care needs associated with a disease that cannot be managed at home with the assistance of available community support services. The intent of Hospice House is to bring such symptoms under control, establish a care routine that can be managed at home and draw on appropriate community resources to assist the family in carrying this routine out. referred to and accepted into the Hospice Palliative Care Program (as above). the family and referring physician are responsible for daily care in Hospice House. In the event of the absence of the referring physician, a locum must be named and care is turned over to the HPC Medical Director. a Do Not Resuscitate form and a Palliative Benefits form must be obtained for all clients and must be signed by the client and the physician. the client shall have symptoms that cannot be controlled at home. admissions must be accompanied by orders from the attending physician. Moog & Friends Hospice House staff strive to meet, through patient-directed supportive interventions, the physical, social and spiritual needs of our residents and their families with sensitivity to their personal cultural and religious beliefs. 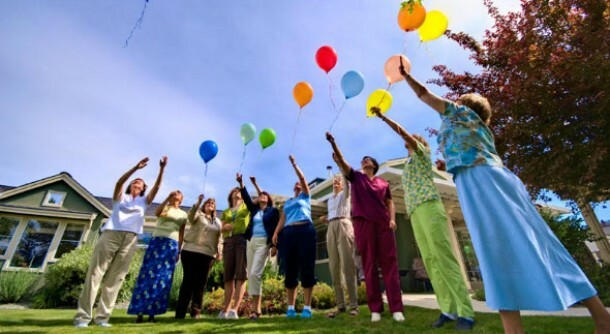 Hospice palliative care welcomes and encourages your participation in your or your loved one’s care. 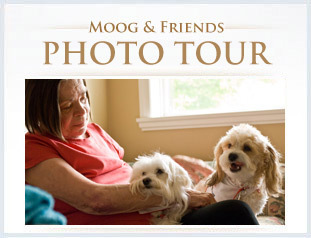 Moog & Friends Hospice House offers a private, furnished bedroom and completely equipped shower room for each resident. Each room is equipped with a wheelchair and walker, Cable TV with remote, CD/DVD player, cassette and radio, and telephone with direct line access. Did you know that palliative care is available to you at home? Advanced illness disrupts a family’s equilibrium – for this reason, providing coordinated care within the comfort and security of your home is an essential component of the Palliative Care Program. 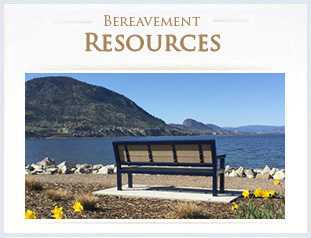 Our program of services is available, to you and your family, either in your home, or when admission to Hospice House becomes necessary. Based upon your needs, home care nursing, home support, physical and occupational therapy, and emotional and nutritional counselling is available to you. You and your family are the centre of our Palliative Care team. An interdisciplinary, collaborative group of health care providers will work with you and your physician. Our goal is to provide you and your family with the services you need to meet your specific palliative care needs. Referral to the Hospice Palliative Care Program can raise many practical issues for you and your family, as you consider the use of services to help you manage care at home and, when to consider an admission to Moog and Friends Hospice House. The Palliative Care social workers can offer you and your family assistance and information to help you make these decisions. It is often helpful to have a knowledgeable and skilled professional to help anticipate events and needs and to give you a different perspective on a situation. You may need advice about where to go for help or may want psychological, social and emotional support for yourself and family members.